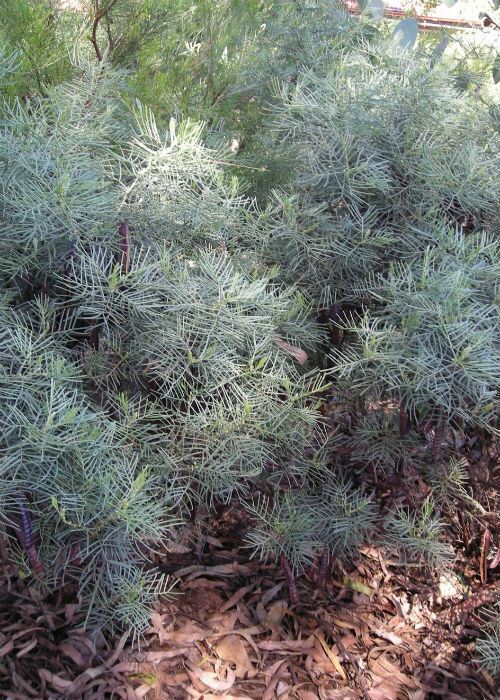 There are about 11 subspecies of this plant and they inhabit the dry inland areas of all mainland Australian states. Subspecies of Senna artemisioides hybridise freely (i.e. they are sexually active!!) and hybrid swarms are found in various locations of central Australia. These hybrids between subspecies are known as nothosubspecies. What that all means is that I have no idea what subspecies I have, but I suspect it is subspecies artemisioides – the silver cassia! Each plant produces hundreds of viable seeds. 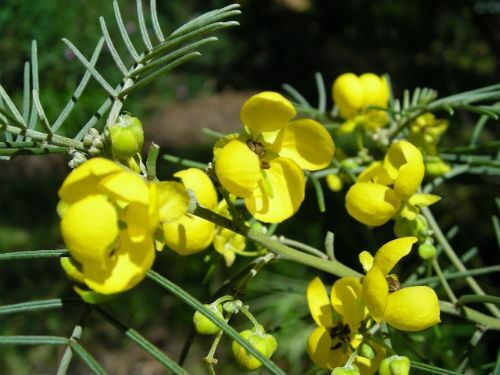 When I became interested in Australian native plants in 1976, this was the first plant I grew in my garden in the northern Sydney suburb of Westleigh. After joining the Australian Plants Society, I obtained seeds from their seed bank and successfully germinated them after treatment with boiling water. The subspecies I have grows to approximately 1.5 metres high and about the same width. It is hardy, long lived and long flowering. It has the additional bonus of being a legume – which means it improves soil fertility through 'fixing' nitrogen. Senna artemisioides produces bright yellow flowers about 1.5 cm diameter which are borne in small clusters in the leaf axils over a long period from late Autumn/early Winter through to Spring. These are followed by brown/black pods 4-8cm long x 1cm wide. Once established they need no additional watering and the only maintenance is to lightly prune after flowering to maintain shape as they tend to become straggly with age. 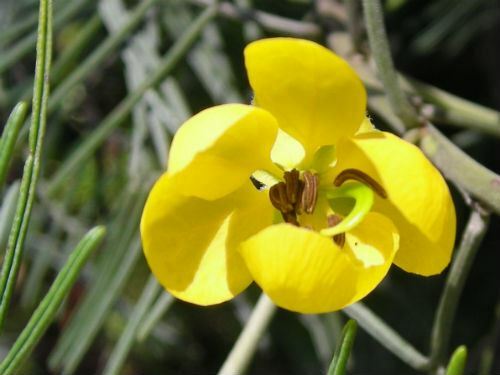 Senna: from which the pharmacuetical product "senna" was made. Artemisioides: like the genus Artemisia....after Artemis the Goddess of the hunt and the moon.